A couple of weekends ago I was feeling super crafty. Lily fell asleep early, which meant I could get uninterrupted painting in! 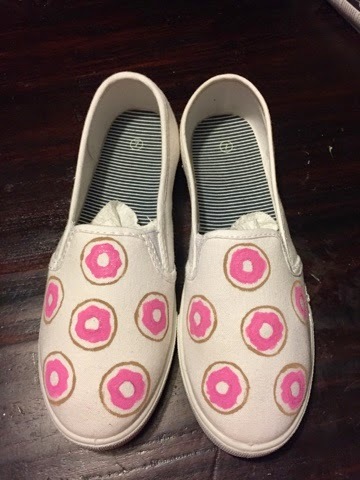 My obsession with sprinkled donuts continues. 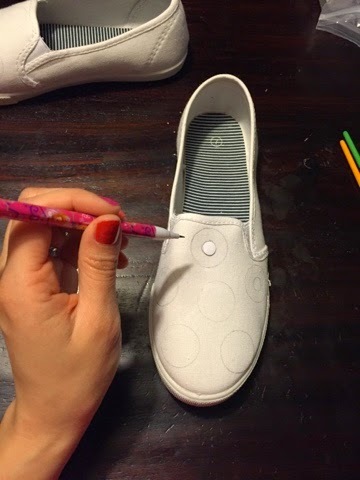 I decided to paint a pair of plain jane flats and make them fabulous! 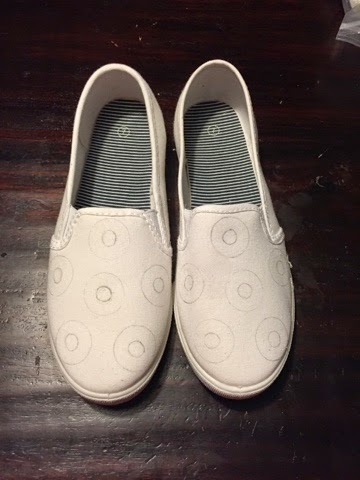 Step 1: Using a pencil, stencil in the donut shapes on your shoes. 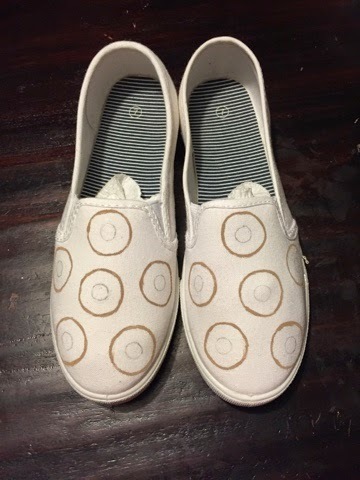 Step 2: Use the beige-y donut color and outline the donut outer circles. 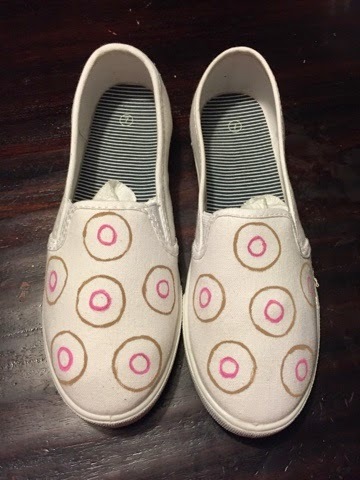 Step 3: Use the pink icing color to outline the inner donut circle. 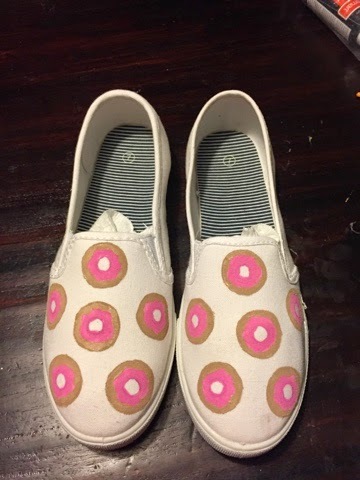 Step 4: Use the pink paint to create the icing area of the donut. 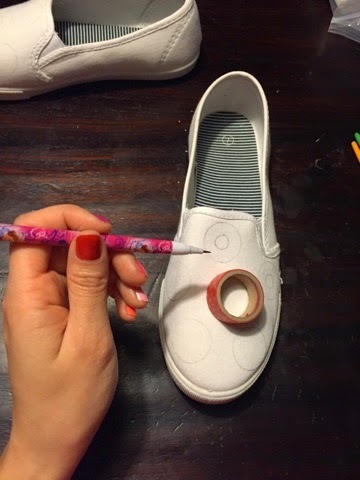 Step 5: Use the beige paint to fill in the remainder of the donut. 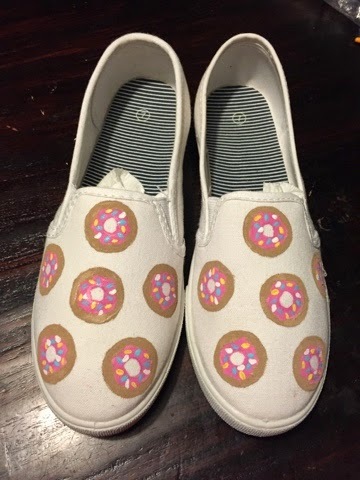 Step 6: Use multicolor paint to create the sprinkles on the donuts. Step 7: Let them dry and voila! 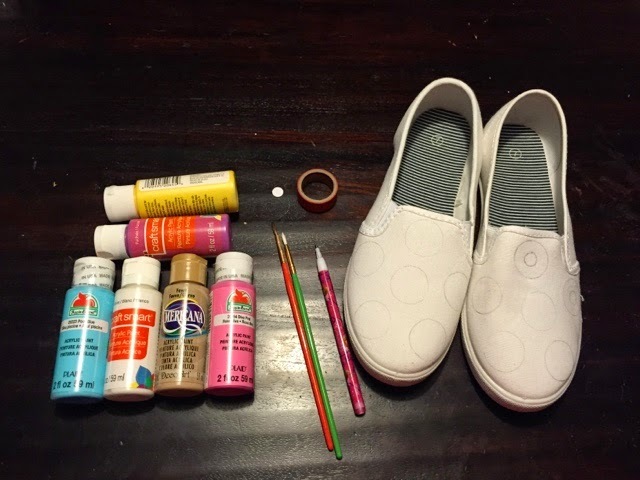 This was an easy project and I loved how the shoes turned out! 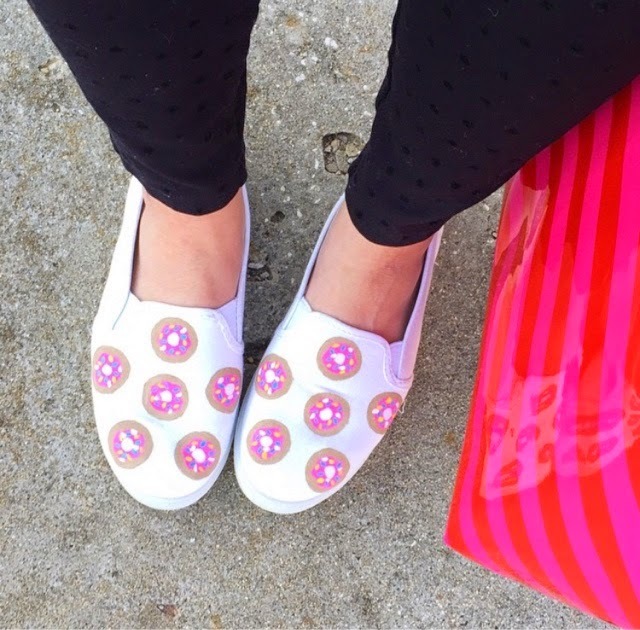 If you are feeling crafty and use this tutorial to create your own pair of donut shoes, post them on Instagram and tag me @glitterandjuls! This looks like so much fun!! You did an awesome job - not sure mine would look as great as yours!